The Iran electronic visa and Iran e-visa system are mistakenly interchangeably used, so making visa applicants confused. The Iran e-visa system is an online portal that was introduced by the Iranian Ministry of Foreign Affairs (MFA) in 2017 to quickly facilitate visa issuance for foreign tourists. On the other hand, the Iran electronic visa, which was introduced in late 2018, is a paperless visa that allows visitors to enter Iran without applying an Iran visa label or stamp on their passports. Infographic: Iran E-Visa Website vs. Iran Electronic Visa, Jan. 2019. This system is a new e-tool introduced by the Iranian MFA in 2017 to facilitate Iran visa issuance online. It is an online portal ran by the MFA and allows the visa applicant to submit, track, and see the result of his/her application online. This new e-visa portal allows the applicant to apply and submit requested documents for his/her visa online from anywhere in the world. It conveniently eliminated the requirement of the applicant to appear in person at an Iranian Embassy/Consulate to submit his/her application form. Furthermore, this system allows the MFA to process visas faster. In some cases, the MFA may ask the applicant to refer to an Iranian Embassy/Consulate for an interview or submit more documents, but in most cases there is no need to make a personal appearance. The MFA will announce the result of visa application to the applicant by email or the tracking section of the portal. The online application process takes at least 10 business days although it can take up to 2 months. Unfortunately, it is not easy to contact the MFA and the applicant has to wait until s/he gets the visa result notifications by email. So, if you are using the e-visa system to submit your application, it is recommended to apply for your Iran visa at least one month before your departure. After processing the visa request, if the applicant’s visa is approved by the MFA, s/he will receive a notification and an Iran visa grant notice (PDF file) by email. Then, s/he has to refer to the local Iranian Embassy/Consulate, or an Iranian international airport to submit passport, pay the Iran visa fees and collect his/her visa. The visa can be stamped onto his/her passport as a printed label or received by email as an Iran electronic visa in PDF format. It depends on which embassies you are going to collect your Iran visa. Some of them still stamp visa label on passport while others only issue Iran electronic visa. Besides, from 22 November 2018, only electronic visa is being issued at Iran international airports. If one’s visa request is refused, s/he will receive a notification with the reason of refusal by email. In case of visa refusal, the applicant can apply again for an Iranian visa after one day. The Iran electronic visa was introduced in late 2018 and is a paperless visa that allows tourists to visit Iran without any mark in their passport. The MFA introduced the Iran electronic visa to confront the unfair and hostile policies of the US against Iranian visitors. In 2017, the US passed a new law that obliged all foreign visitors who wish to enter the US and who previously visited Iran to obtain a US visa (even if they hold a passport that doesn’t need a visa to enter the USA). Saudi Arabia has a very strict policy for its citizens who visit Iran as well. With this electronic visa, now everyone can travel to Iran easily without being worried about its consequences. Nonetheless, please consider that getting an Iran electronic visa is not yet a 100% online procedure and the applicant needs to refer to an Iranian Embassy/Consulate to pay the visa fees. The reason is due to the unfair financial sanctions against Iran that make it impossible for the Iranian MFA to receive the payments online. After receiving the Iran electronic visa in the form of a PDF file by email, it should be printed and keep it in a safe place until the end of your trip, as this is official proof that you have entered the country legally. Also, you can ask the immigration police at your port of entry/exit into Iran to stamp your printed e-visa instead of your passport when entering/exiting the country. Infographic: Iran Electronic Visa, Jan. 2019. How to Get the Iran E-Visa? Apply online for your visa and get your Iran visa grant notice (aka: Iran visa authorization code). You can apply directly on the MFA e-visa website or do it through one of the Iranian authorized travel agencies. Refer to your local Iranian Embassy/Consulate or Iranian international airport to submit your passport and pay the Iran visa fee. Note: You have to identify the visa collection place when filling in the online visa form. It is the same place you will pay for your visa. Collect your Iran visa in the form of a printed label from an Iranian Embassy or e-visa PDF file by email. Presently, Iran visa on arrival is being issued ONLY in form of e-visa. Infographic: How to Get Iran Visa, Jan. 2019.  Most Iran tourist e-visas are valid for about 90 days after their issuance date and the duration of stay is typically for 30 days. It means the applicant can enter Iran during this 3 month period and s/he has permission to stay up to 30 days in Iran and will have to leave the country before the visa expiry date. The Iran e-visa system is a new portal and it has many bugs that need to be fixed. Note that although the system was created to speed up the visa issuing procedure, sometimes it the applicant may not receive her/his result quickly! It is almost impossible to contact the MFA by phone or email to ask about your visa status. You can’t reapply for a visa while your application file is being reviewed by the MFA and your result has not yet come. So, you cannot reapply through a travel agency if you have already applied directly using the MFA e-visa system, regardless of how long the reply takes. For this reason, it is highly recommended to apply directly through an authorized travel agency if you need visa approval in a short time. It is very important to submit a valid/correct email address when filling out the online Iran visa form because your visa result or electronic visa will be emailed to the provided email address. It is very important to give the correct location of where you intend to retrieve your visa when filling out the online form. You have to collect your visa only from the place you have selected on your online application. If you want to change the location then you have to reapply and wait for a new visa grant notice. In both cases, we can apply for your visa as an MFA authorized travel agency and get your Iran visa grant notice in 2 days. The Iran e-visa system and Iran electronic visa are new services created by the Iranian MFA to smoothly facilitate the visa application process. Although you can apply for an Iranian visa yourself using the MFA e-visa website, it may take a long time to get your visa approval and the refusal rate for an individual application is high. Also, any unintended wrong data entered on the forms can result in your visa rejection. The MFA has appointed some Iranian travel agencies the right to apply for tourist visas. Approve rates for visa applications from these official travel agencies are high and it is very fast and easy; in most cases it only takes 2 days to get your application approved. So, if you intend to visit Iran on a tourist visa, it is highly recommended to apply through such authorized travel agencies and let them get your visa approval. We are also able to do any necessary alterations in case your plans change. So let us make your visa application process easy and quick.